Recently my daughter Katie and I embarked on a detailed trip that took us to four of California’s spectacular eighteenth century Spanish missions. These beautifully and authentically restored missions allow the visitor the rare opportunity to view European life in California decades before the American takeover. 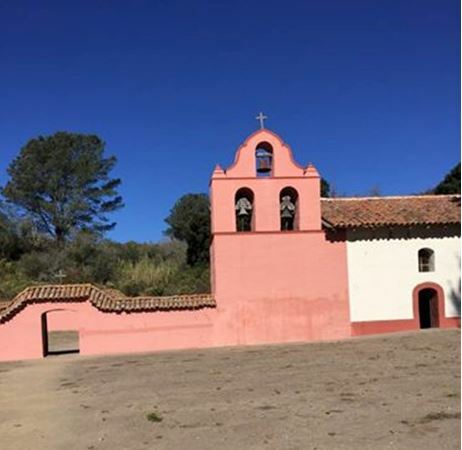 The two most interesting places we visited were La Purisima Concepcion north of Santa Barbara and San Juan Bautista in San Benito County not far from the city of Monterey. At its height in the 1600s and 1700, the Spanish Empire in the New World Stretched from the southern tip of South America to much of the southern areas of what is now the United States. Since there were relatively few Spaniards spread out over this vast area, utilizing the work and loyalty of native peoples became an essential component of Spain’s ability to maintain such a huge empire. Spain’s impressive attempt to colonize California in the late 1700s and early 1800s provides a telling example of its techniques of colonization. Today several beautifully restored missions in California provide the curious visitor with a clear glimpse of life in California at the height of the Spanish period endured from the late 1700s through to the 1830s. The Spanish built 21 missions in California along with a number of sub-missions, four presidios. They stretched south from the San Diego area Mission de Alcala all the way north to the Mission San Francisco Solano in Sonoma, just above San Francisco Bay. These missions were connected by a major road, the El Camino Real, Spanish for the Royal Road and on occasion called the King’s Highway. The road itself was 600 miles (965 kilometers) long. Today much of the original El Camino Real has disappeared, long since absorbed into California’s modern system of roads and highways. The missions were far more than religious settlements though the Catholic religion played a key role in each location. Their purpose was political and economic control over a major region. The missions produced vast quantities of agricultural goods as well as ceramics, leather and blacksmithing products and much more which allowed them to become very wealthy. The missions traded extensively with foreign ships and with Spanish settlements elsewhere. There were often nearby ranches and other Spanish settlements near each of the missions. Soldiers stationed at each mission helped to maintain law and order. Missions were colonial institutions of great importance in the spread of the Spanish empire in North and South America. Other restored missions can be found near San Antonio Texas. Spain learned during its 250 years of New World colonization that missions offered the most efficient and economical way of settling a new territory. Because Spanish settlers were few, Spain was determined to use native peoples as the most effective way to colonize a new territory through the vehicle of a mission. A mission was comparatively inexpensive to create. It required one or two padres, a few soldiers and a good quantity of supplies to build and energize a new mission. The natives, however, formed a large work force essential to the sustenance of the mission. Many of the larger missions at their height had over 1500 natives living within their walls and laboring in their workshops and fields. Native Americans were the essential building blocks for any mission and Spanish control over the natives was crucial for the survival of the mission and Spain’s colonial venture into California. Spain developed the mission system with the belief that Indians would become Spanish citizens and build New Spain if they were taught European crafts and agriculture and were baptized into the Catholic faith. The Spanish Christianized and educated local natives and taught them a variety of industrial skills that would make the mission a fairly self-supporting enterprise. Much emphasis was placed on manual training for the natives in a variety of fields. Missions were developed as major centers of industrial activity including tanning, blacksmithing, winemaking, ceramics, stock tending, and the care of fields and crops. Women were trained to cook, sew, weave and spin material. The missions were above all economic entities that were charge with the task of supporting themselves and adding to the wealth of the Spanish empire. Agriculture was the key. Missions grew such crops as wheat, barley, corn, beans, and peas. Large orchards produced pears, apples and other fruit. A mission’s wealth also depended on its livestock. Major livestock included large numbers of horses, cattle, mules, sheep and goats. The La Purisima Conception Mission north of Santa Barbara had 20,000 head of sheep and cattle as early as 1810. The typical Spanish mission in California contained a number of rambling structures often formed around a square. The inside of the square contained a roofed arcade that served as an outdoors hallway connecting rooms devoted to a number of activities including workshops, office and storage space, priests’ quarters, dining and cooking facilities and the like. The highlight of the quadrangle would always be the main church. Churches were always beautifully decorated by both Spanish and Indian laborers. There would also be a significant bell tower containing bells that were made in Peru or Mexico and transported all the way to California. Sadly, the mission period in California was relatively brief. Many of the missions were founded in the late 1700s and early 1800s, but they began to experience real decline by the 1820s. Mexico’s War of Independence which began in 1810 led to the termination of Spanish rule there by 1820. Mexico later claimed control over the California missions and moved quickly to secularize them which in turn led to their decline and occasional abandonment. Fortunately modern entities such as the California State Park service, where my daughter Katie works, have beautifully and lovingly restored some of the missions. 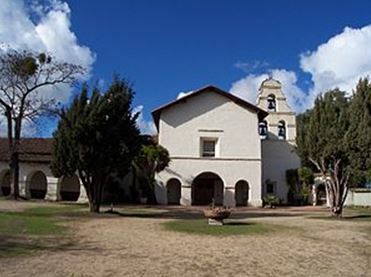 Today La Purísima Mission State Historic Park is considered the most completely restored missions in California, with ten of the original buildings fully restored and furnished, including the church, shops, living quarters, and blacksmith shop. The mission gardens and livestock represent what would have been found at the mission during the 1820’s. Founded in 1787, La Purisima Mission was the eleventh of the 21 Alta California missions. It was once the home to many Spanish soldiers, settlers and priests as well as up to 1,500 local Chumash Indians. The mission held the seat of the California Mission government. It has experienced several catastrophic events such as outbreaks of deadly diseases, a huge earthquake in 1812 and a major Indian revolt in 1824. La Purisima was largely abandoned in the mid-1800s after the Mexican takeover, but it was lovingly restored in the mid-twentieth century by the Civilian Conservation Corps and later by other groups including the State Park service. I spent a whole day wandering through the huge complex but must return several times to fully appreciate the site. Founded in 1797, this mission was the fifteenth of the Spanish missions in California. Named for St. John the Baptist, the mission is the namesake for the small, quaint and charming city of San Juan Bautista. Following its creation in 1797, San Juan’s population grew quickly. By 1803, there were 1,036 Native Americans living at the mission. Ranching and farming activity had moved apace, with 1,036 cattle, 4,600 sheep, 22 swine, 540 horses and 8 mules counted that year. At the same time, the harvest of wheat, barley and corn was estimated at 2,018 fanegas, each of about 220 pounds. Today the mission serves as an active Catholic church. The big square outside the church contains a number of fascinating old buildings including a gold rush era hotel. Although initially secularized by the Mexican government in 1835, the church was reconsecrated by the Roman Catholic Church in 1859 and continues to serve as a parish of the Diocese of Monterey. The mission includes a cemetery with the remains of several thousand Indian converts and Europeans buried there. I first became aware of the San Juan Bautista mission years ago when I viewed the 1958 Alfred Hitchcock film Vertigo which starred one of my favorite actors, Jimmy Stewart. Several scenes in the movie were filmed there. When we visited the mission, I expected to see the very tall bell tower that appeared in the film, but to my surprise the current bell tower (see photograph) is not at all tall. It turns out that Hitchcock used trick photography to create the appearance of a tall tower.